-By EIN contributor Harley Payette. All Elvis' movies made profit. 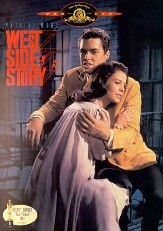 Amongst the music-travelogues were some strong dramatic roles demonstrating Elvis' acting potential. So what went wrong? Is The Colonel to blame or did Elvis misunderstand the demands of the film industry? Elvis expert Harley Payette investigates whether Elvis really could have been 'a contender'. As Elvis' movies were an important part of my indoctrination into Elvis, they carry a little more weight and importance to me than they do to some fans and I think about them seriously from time to time. As with most Elvis fans, the question is always "What went wrong?" How was this potentially great talent, a definite great musical talent, squandered? 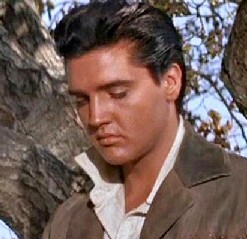 Just on screen presence alone, Elvis could have been one of THE great stars. While I think there were a variety of factors combined to derail Elvis' career, in retrospect I see one that more than anything kept him from achieving his goal to become a serious actor and possibly shortened his life: He gave up too soon. In 1969 when Elvis made his last movie, he was only 34-years old. This is really an age when most actors are just beginning to find themselves. 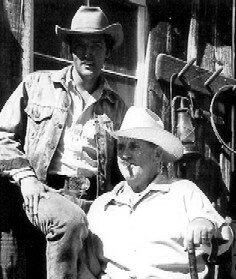 Burt Lancaster was 33, only a year younger than Elvis' movie retirement age, when he made his FIRST movie. John Wayne was 32 and a veteran of grade B to Z movie serials when John Ford cast him in "Stage Coach" in 1939. Before that movie, Wayne was held in even less esteem in industry circles than Elvis was in 1968/1969. Had Elvis remained in the ballgame, perhaps a director may have championed him as John Ford did Wayne. It's true that Elvis got his first break in movies very early and had a long career by 1969. However, he was far from burned out as a movie commodity. 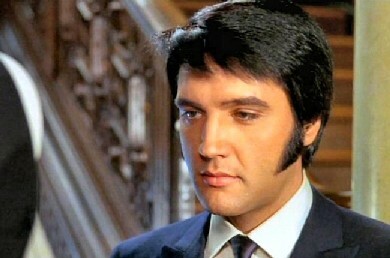 Many, many stars have gone through the kind of dues paying period that Elvis' 60s movie time should have been. Anthony Quinn, for instance was a constant presence in movies in small parts in mostly exploitation movies from the late 1930s on. He kept hanging around though and looking for opportunities and eventually when he replaced Marlon Brando in "Streetcar" on Broadway, he was finally given the chance to be a real movie star by studio execs. A primary reason for this was persistence. By staying at the table, he eventually got a chance to show what he could do. A big difference between Elvis and these actors is that Elvis had another career to fall back upon as a singer and that career was wildly successful. It may have been too wildly successful too soon for Elvis to realize the way things worked in the industry. The most obvious comparisons to Elvis as a movie actor are of course Sinatra and Crosby. It's significant that both Sinatra and Crosby went through significant dues paying periods within their movie careers. Crosby when he was 41 years old when he got his first serious break as an actor in "Going My Way" and Sinatra was 37 when he landed the part in "From Here to Eternity". Both like Elvis had been type cast for many, many years as light musical stars before finally winning a big dramatic chance. Crosby's career in movies almost 15 years old when "Going My Way" hit theaters. The big difference between Elvis and Sinatra and Crosby in terms of persistence may have been the haste with which Elvis ascended to the top of the music industry. Both Sinatra and Crosby were in the industry for several years before they reached the top moving up gradually bit by bit, level by level. Elvis had one of the most meteoric rises in the pre-American Idol industry. From the time Elvis' recorded his first PROFESSIONAL record, it took him about 21 months to become the biggest musical artist in the entire industry. Even on the way up he had known mostly unparalleled success. Within hours of his first recording sensation, he was a local sensation. And while many writers have often gone to pains to paint the Opry appearance as a failure, it should be remembered that Elvis was appearing at the Opry on the strength of a single 45. (Even weird old Uncle Albert found that amazing.) Most artists worked their lives away to get a spot on the show. Elvis was in the recording studio once and made it. Even when he flopped on the show, he immediately landed a spot on the very popular Louisiana Hayride. Elvis was not used to show business failure or even the concept of paying his dues. And in some respects, this spoiled his movie career creating unrealistic expectations. He had no sense of perspective. 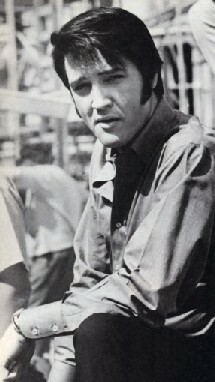 If you think about it, it was very unreasonable for Elvis to think that he wouldn't sing in "Love Me Tender". Not only was he the hottest singer in the nation and signed in large part because of that fact, but as an actor he was an extremely unproven commodity. Not only would there be questions about whether or not he could act, there were legitimate questions as to whether he could even do something simple like remember his lines. This is not a slam at Elvis' intelligence. It's a reflection of the fact that Elvis had never even been in a high school play. Eventually, Elvis' box office clout and the good work he did in movies like "King Creole" and "Follow That Dream" did earn him the right to ask for better. In some ways, it did come in "Flaming Star" and "Wild in the Country". Ultimately, these movies, for all their merit, had commercial and artistic flaws that made them false starts. However, Colonel Parker and Elvis should have realized that this was par for the course also. Wayne, for instance, was to have his big dramatic break in Raoul Walsh's "The Big Trail" almost ten years before "Stage Coach". It just wasn't the time however and the movie flopped and Wayne had to pay more dues. The relative failure of Elvis' dramatic turns meant the same for him. This is again where his lack of movie savvy comes back to hurt him. Had he had have more movie friends, he would have found that the modest box office PROFIT these two movies made was not bad for heavy movie drama. What Elvis didn't understand was that more chances would come if he hung around. This is where Elvis' refusal to socialize with the Hollywood set hurt him. While Elvis, somewhat admirably, probably thought of it as keeping allegiance with his class and old friends, it also kept him from learning about his new industry. Had Presley been in regular contact with industry figures, it would have been a chance for him to talk about acting and the industry. He would have known that much better about what to expect. Millie Perkins told Peter Guralnick that what separated her from Elvis as an actor was the fact that she used her downtown as preparation for her role where Elvis used his for fun. Whether Ms. Perkins technique was valid or not is irrelevant. (Many of the great actors just hit the scene when they had to and went home.) But you can bet that the main reason that Elvis didn't use the technique was because he didn't know. I do feel that Elvis was serious in his way about becoming a good actor. You can hear it in the stories about him studying the great actors on the screen and trying to absorb their mechanisms. You can also hear it interviews with the man himself. It was important to him. If someone had exposed him to something that could have helped him realize that ambition, I think he would have used that. Perhaps Elvis' relatively easy defeat at the hands of Hollywood is an indication that it was not truly that important to him. I don't see that though. I think in some ways part of the problem is that the movie industry is simply not that imaginative at its core. Typecasting has always been a huge issue because the industry underestimates the public's tastes. Even more when somebody breaks type, they do nothing to support it. Then when they come back chastened to type it's a cause for major celebration and publicity. I remember Julia Roberts in the mid-1990s made a string of quirky type movies. Many of them slipped under the radar and you had to really search them out. They were all commercial failures. They weren't what you would call great movies but their commercial failure was in large part due to the fact that they received little publicity. When Roberts came back to romantic comedy, the movie was excessively publicized. They let her make those odd movies but they only helped her when it came to their conventional fare. When Elvis said the industry's image of him was all wrong, I think he misunderstood the industry. To them everyone's a piece of meat. You have to stay around and LOOK for chances. While I do think that 1969 was way too early to quit, I don't think it was a bad time to take a break. No matter how much he always dreamed of being a movie star, he was musician before he was anything else. It was how he defined himself from his earliest days and in his most private moments. The need to be a musician, to make serious records, to tour and meet his public had to be satisfied. However, when that need was satiated I think movies could have played a part. After Aloha, that should have been the plan. Even more than a world tour, I think a part in a really good movie with really good actors and a director would have provided that spark that was so often missing those final years. It could even have made his music career more exciting as absence makes the heart grow fonder. I would be remiss if I did not point out that the other great killer in Elvis' movie career was Colonel Parker's management style. Parker hurt Elvis' options in not only his bottom line management style but also with the perverse aversion he had to any interesting projects proposed to Elvis like "West Side Story". If Frankie Avalon could land a part in the "Longest Day" or Bobby Darin could land a spot in "Captain Newman MD" with Gregory Peck and early Elvis hero Tony Curtis, Parker could have hooked Elvis a similar big fish. Exposure to a big time director could have invigorated Elvis. Working with Michael Curtiz in 1958 certainly did wonders for him. While Elvis worked with some good directors like Curtiz, Don Siegel, and Phil Karlson (I would add Peter Tewksbury as well) he never really worked with an actor's director like John Frankenheimer or Sidney Lumet. 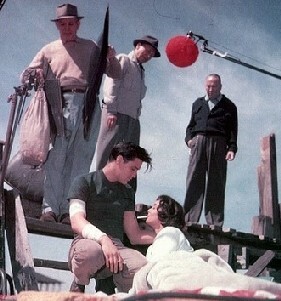 I think being exposed to their innovative style of working with actors could have invigorated Elvis. It could have been like learning music all over again. 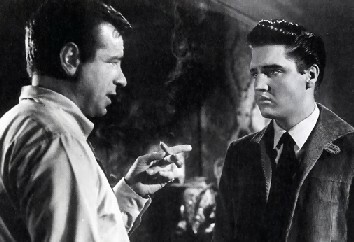 What's more even though Elvis worked with many, many fine character actors like Burgess Meredith, Arthur O'Connell, and Jack Albertson, as well as some stars before their time like Walter Matthau, imagine if Elvis got to work with superstars like Peck or Wayne or Brando. Their presence would have done a lot to inspire the eager to please, eager to show 'em Elvis of the early days. It's debatable how much impact, Parker's management, finally had on this element of Elvis' movie career. If you look at Elvis' final films, Parker was seemingly open to allowing a greater diversity of roles. Where Colonel Parker I think deserves the most blame is in either his lack of belief in Elvis, or the fact that he thought it better that some question remain about Elvis' artistic ability. Rock and roll to him and many of his generation was some sort of freak-show. Acting success carried a more legitimate cultural air of success. Perhaps Parker simply wanted the world to view Elvis as his creation. Were he a successful artist, it would make his contributions as a manager less. I propose this because of the fact that with the exception of FS and WITC and some of the later movies Parker killed nearly every interesting idea to come Elvis' way from "Walk on the Wild Side" to "West Side Story" (above) to "Midnight Cowboy" to "A Star is Born". 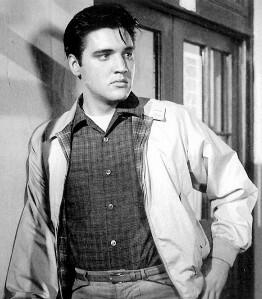 This is what in many ways is frustrating because in "Trouble With Girls", "Stay Away Joe", "Change of Habit" you can see Elvis start to grow as an actor. He's not all the way there yet but you can see him consciously working to create a sense of character outside of himself in all these parts. Coupled with a good director and the naturalistic emotionalism he showed in "Flaming Star" and "King Creole", the sense of danger and violence in nearly all his roles, he could have been something really interesting.